Like Sir Mick “Phillip” Jagger of the of the Rolling Stones, Professor Ngugi wa Thiong’o of the African Writers Series fame packs halls with nostalgic baby boomers and curious millennials. In the same way Jagger belts out “Sympathy for the Devil,” Ngugi gives an eloquent voice to “Devil on the Cross,” and often brings down the house and basks in plaudits, accolades, approbation, kudos, and standing ovations. Like Jagger, Ngugi too signs autographs, and poses for pictures with the fortunate. 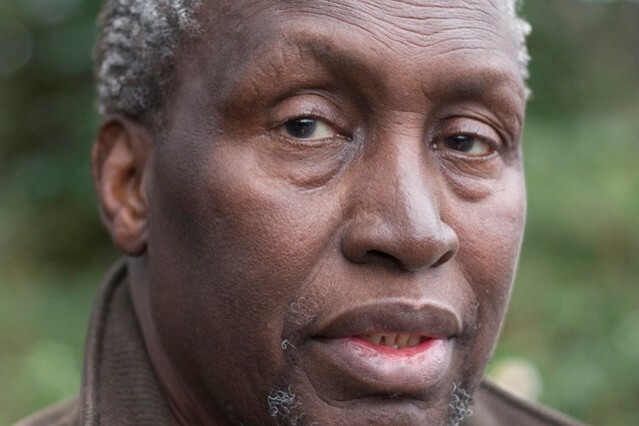 The following day, the septuagenarian Ngugi (born 1938), packs his bags, dusts off his 1967 social activist and cultural nationalist hat and sets off for the next venue. For forty-six years, since he renounced English, and Christianity, and discarded his baptismal “colonial” James, he has been globetrotting like a superstar—some say like a prophet of doom. As recent as this month he arrived in Lusaka, Zambia and told an ebullient crowd that “the loss of African languages is one of the continent’s greatest tragedies.” On his way out, he offered no practical experimentation, no placebos, and left his audience grappling with issues of nationalism, tribalism, realism, modernism, advancement, and universality. Where ever Ngugi has gone his message has been as ambiguous, his audience as muddied. While he succeeds in turning his faithful followers into anti-English cultural revolutionaries who reap their Christian names from their souls, he lamentably fails to show them how to replace English with hundreds of sub-Sahara African languages. Over the years, he has failed to create or identify African languages that can convey common cultural universality. He has failed in his own country of Kenya where he is the leading agent of literature and its foremost spokesman. The majority of urban Kenyans have resorted to using English much more than the once domineering Swahili. Wouldn’t we have rewarded him with great admiration had he turned Kenya into a role model? Please don’t get me wrong, I hold Professor Ngugi wa Thiong’o in high esteem. The history of African literature belongs to sages and laureates like him, Chinua Achebe, Cyprian Ekwensi, Wole Sonyinka, Bessie Head, Okot p’Bitek, David Rubadiri, Robert Serumaga, and other early African writers. Their attempt to recover African gnosis subjugated by colonialism is highly commendable. I have read most of Ngugi’s masterful and timeless works including “The River Between,” “Weep not, Child,” “A Grain of Wheat,” and “Petals of Blood.” Indeed, his themes take us through the ages of the anti-colonial struggle, independence, neo-colonialism, and are part of our rich historiography. But while I fully support Ngugi’s postulation that African literature should be written in indigenous languages, I resent his foreboding ideology of stifling the English language in favor of the incontestable African languages. His insistence on this matter exposes him as self-serving, disingenuous, and contradictory, no offense meant. He has been trying to cut off the hand that feeds him with a blunt knife. Here is why I say so; Ngugi is who he is today because of the books he has written in English. Over the years he has raked tons of money (if not in millions of dollars) in royalties from his English books. He knows pretty well that there is no credible publisher in the world that will accept his Gikuyu manuscripts that cater to one ethnic group of mainly the indigent. 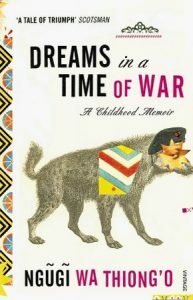 In fact, he was forced to write his latest book “Dreams in a Time of War: A Childhood Memoir” (2010) in English, breaking his 1986 vow! Wali’s quest failed. Ngugi’s is destined for failure as well. Reason: because he has failed to stake his soul for the African languages. In other words, he is not fully committed to it. His supposedly passionate and poignant desire to suppress English and create African languages that portray “the true image of Africa” is in variance with his duties as Distinguished Professor of English and Comparative Literature at the University of California, Irvine. He can’t have it both ways; he can’t continue to disclaim the English language while at the same time teach it in American universities and gain from it. It is this hypocritical stance that has made it difficult for our distinguished scribe to retrieve a single African language from the rubble of colonial pillage. His stratagem lends less credence and boggles the minds of many a literati. If Ngugi wanted us to come with him, he should have begun to create a community of African languages twenty-seven years ago, in 1986, when he vehemently renounced the transmission of African literature through the English language. To set a good example, Ngugi, who commands a lot of respect, should have become the first African scholar to discard English in its entirety. He should have faithfully and wholly embraced his native language Gikuyu. What I mean is Gikuyu should have become the language of his daily life. In Lusaka for instance, he should have addressed his audience in Gikuyu and use an interpreter to convey the message in the fashion of Vladimir Putin, and not resort to the language he repudiates and condemns. Further, Ngugi should have displayed the books he has written specifically in Gikuyu since 1986. 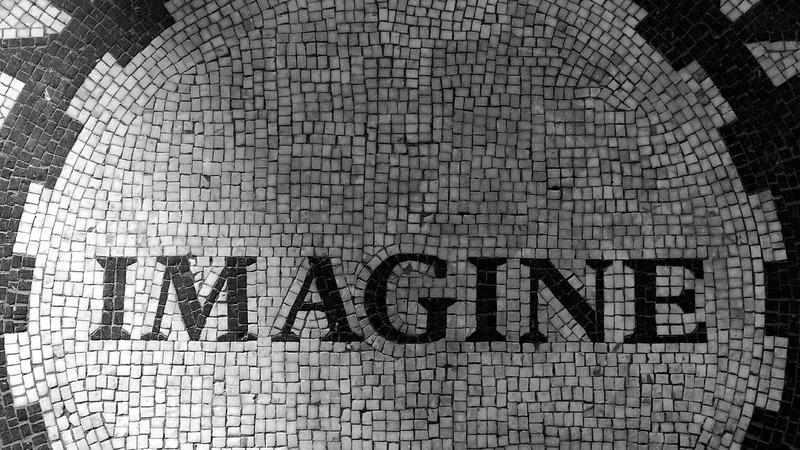 As far as I know there are none. He has translated all of them into English to reach a wider audience and for the purpose of generating an income. Ngugi is twenty-seven years late. This is 2013. As the aficionado of African literature, he should continue where Achebe left off. He should help our post-colonial African thinkers to fashion an English compatible with the status quo. He should encourage them to use as much English as possible to spread and show our mastery of African literature. Gone are the days when the African writer wrote about himself as a herd-boy in poetry, drama or fiction. Our children should be free to portray the images of modern Africa in English just like Ngugi’s son Mukoma is doing. Mukoma who today is Assistant Professor of English at Cornell University is a successful poet, and novelist. Why can’t Ngugi afford our children the same opportunity? He can be assured that our languages will not become extinct if he allows our young thinkers to use English and then translate their texts in their respective language and not vice versa. To lend a deaf ear is to be a prophet of doom who gathers no moss. Field Ruwe is a US-based Zambian media practitioner, historian, and author. He is a PhD candidate at George Fox University and serves as an adjunct professor (lecturer) in Boston. The question remains, is the western culture superior when compaired to African cultural value system?